 Revolutionary tool to make extended bodies.  Mandrels of 3 sizes to suit most fly needs (S, M and L).  Comes with their exclusive cement and inner Foams.  Dip the extended bodies into this flexible cement.  Wont harm the water repellency of treated materials. 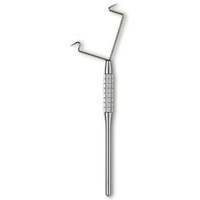  Also works for reinforcing quill sections or as dubbing wax. 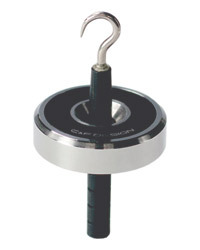 A Long-reach version of C & Fs benchmark CFT60 Bobbin holder. Featuring a 38mm reach and weighing in at 19grams for improved vision and increased tension control. The black neck tube lets you easily tell this bobbin holder apart from the standard one on the bench. Designed for Saltwater and Specimen Fly tyers. The SW model bobbin holder has increased weight to hold in place bulky materials and features a thread tension adjustment via the side-brake. Surely the ultimate tool for this job. Same design as CFT60. Finer tube for increased access on smaller flies. Ideal for 8/0 thread and finer. 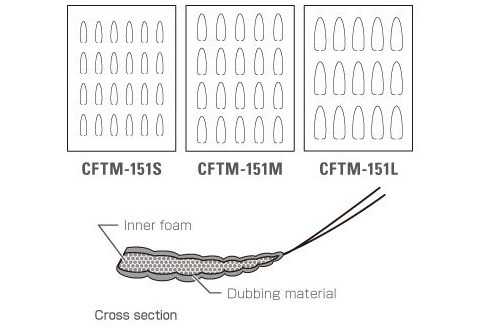  Clever Micro Slit Foam design in bobbin nose to retain constant thread tension. The 9.5mm longer noses from the standard models make difference in tying comfort, especially for larger flies. 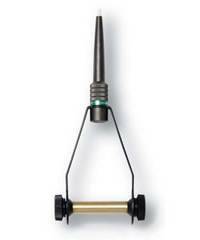 Bobbin Gravity System consists of a brass center shaft and brake knobs. 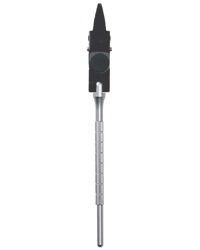 The heavy-duty shaft adds weight to hold the material temporarily by just hanging the bobbin holder. 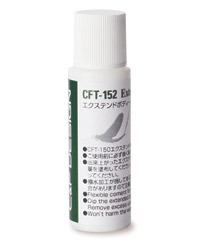 It also prevents the thread spool from breaking free when applying heavy pressure. Ideal for saltwater flies and streamers. Exclusively designed for C and F Bobbin Holders. 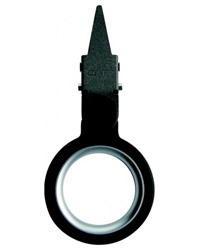 The hackle pliers model CFT-120 Midge works perfectly for normal hackles as well for parachutes. The pliers have a pair of superb grips on the clip and, plenty of purchase area under the flared points too. The flexible rubber neck between the clip and the finger-loop is absolutely new to me and although you think at first it will not last for long, you will change your mind quickly when using it. Its very solid and seems very good quality rubber indeed. The elastic motion surely will help prevent the hackle quills from snapping while winding. Its a brilliant little tool. 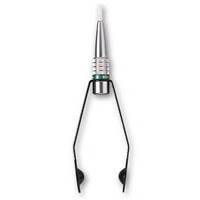  Plier head has a slight flare at the nose to minimize the risk of cutting materials.  Brass stabilizer/finger hole with optimized weight.  Designed to wind flat materials such as goose/turkey biot smoothly with the head twisted 9 degrees from their standard Hackle Pliers. 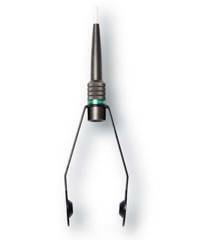  The head has a sight flare at the nose to minimise the risk of cutting materials.  The gripping surface inside is sandblasted to prevent slippage.  The shock-absorbing elastomer joint and rubber o-ring gives you a good touch and tension.  Designed to wind flat materials such as goose/turkey biot smoothly with the head twisted 9 degrees from C & F's standard Hackle Pliers. A mini size hair stacker for precision work on flies like comparaduns and elk hair caddis. Precision machined from Aluminium with an elastomer rubber base to muffle and protect. Supplied with hair comb.  Double tube design adjusts to the amount of hair.  Comes with hair comb. 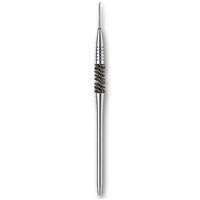  Angled needle for delicate work.  Half hitch tool on other end.  3 sizes of half hitcher combined in one body. 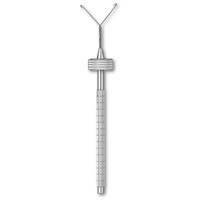 A mini size rotary Whip finish tool designed for flies size 18 and smaller. 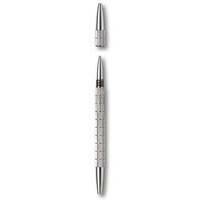 Polished Stainless Steel arms, knurled grip with smooth rotary mechanism. A Neodymium magnet on opposite end for collecting hooks. 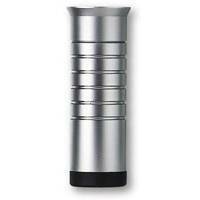  Polished stainless steel arms, knurled non-slip grip and smooth rotary mechanism. 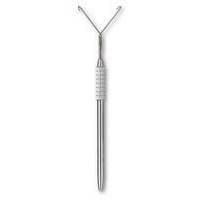  Magnet on end is useful for picking up hooks.  Suitable for tying streamers, nymphs, emergers and direct-hackled flies.  Unique core clip adds more character to the dubbing brush. 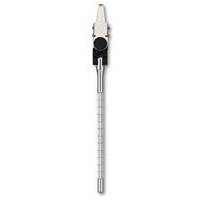  Plier head has a slight flare at the nose to minimize risk of cutting hackles. 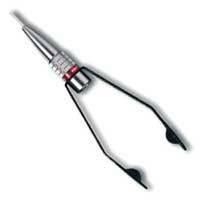  Quality dubbing twister with large size ball bearing to create dubbing loops neatly and quickly. 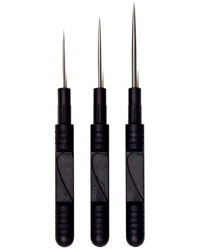  Free-angle hackle plier with smooth movements for faster winding without twisting hackles. 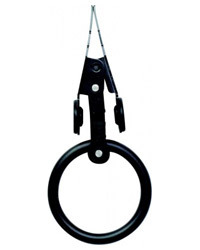  Elastomer rubber damper absorbs shocks and retains optimum tension on materials. Spare threaders sa supplied with Macro Polo kit and all CFT6 series bobbin holders. Pack of 3. 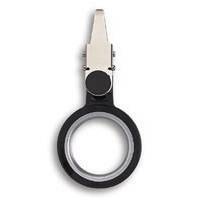  Clear rings to keep spooled materials from unwinding.  Three sizes to fit all spool sizes. Fully adjustable parachute tool. Shares connector with CFT50 Sight Plate.  A weight-type tool to create a dubbing loop.  Hang from a thread loop, insert the materials and spin. 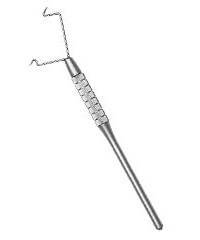 A swiveling hackle plier that shares the same head as CFT-120Midge.